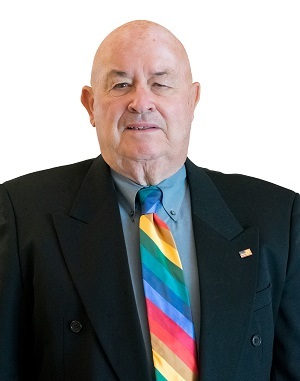 Jack Howell was elected to the District 2 seat of the Palm Coast City Council seat in November 2018. Council Member Howell is an Aviator and President and Chief Executive Officer of Teens-In-Flight, a national aviation charity to help teens whose parents were killed or injured in the line of active duty in the armed forces, as well as teens who are considered at-risk. He served 25 years of active duty in the U.S. Marine Corps, and is a combat-wounded veteran who retired with the rank of Colonel. He also is a retired high school teacher, former child protective services investigator and former supervisor of Ocean Rescue for the City of Jacksonville. Colonel Howell moved to Daytona Beach from New Orleans, Louisiana, in 1990. Council Member Howell is a graduate of Monmouth University and the Naval War College and also did graduate work at East Carolina University and Pepperdine University. He has lived in Palm Coast since 1991. He and wife Samantha have six children and nine grandchildren combined. He is active in civic life as a member of many professional, military and social organizations.